Happy Tuesday friends! Wow, sorry I didn’t get a chance to wish you a Merry Christmas – so here it is a little late! Better late than never, right? I had the most relaxing Christmas and enjoyed the time spent with my family, boyfriend and Ms. Emma of course. I took Emma with me on Tuesday night and my boyfriend came down to Iowa on Christmas Eve, picking up my grandma along the way. Just as they arrived, the most beautiful snow began to fall. It continued through the time we went to Mass and opened gifts that night. It felt so magical after a snow-less December. It truly was a magical Christmas! I decided to wear something comfortable, but still dressy. I first had on my red skirt, but after all the drinks and food over the past few days, I decided I didn’t want to sit through church in it. 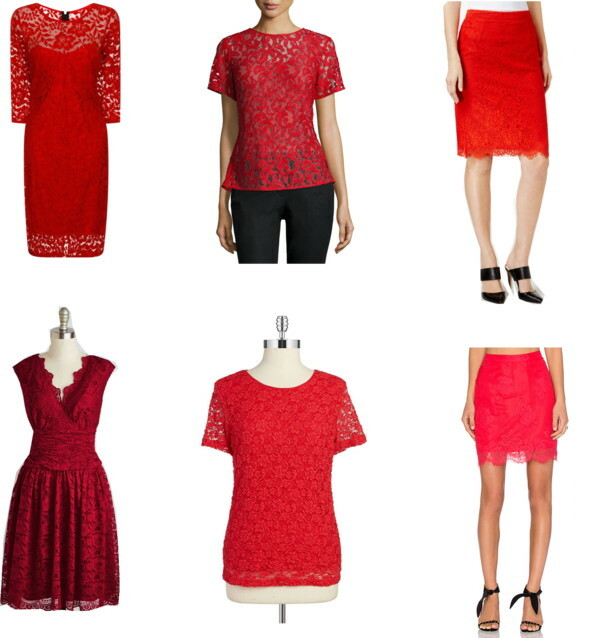 I changed into my red lace dress, last seen here, and wore it as a top with my comfortable black skater skirt. I added my Hanes tights (read more about how important they were for me this year here) and a pearl cluster necklace – just to add a bit of a statement. And my final touch of red lipstick – my favorite for many years. I hope you had a wonderful Christmas and are getting excited to ring in the New Year this week! I work through tomorrow and am looking forward to counting down to the New Year, and welcoming 2016 with open arms. Have a great week! Linking up with Sydney Fashion Hunter! Such a festive look, lady! Gorgeous! Hope you had a good holiday! Your Christmas outfit is adorable Rachel!! Hope you had a Merry Christmas! I am the worst blogger because I ended up wearing sweats for half of the day. I love how chic and comfortable this is! Plus your snow background is stuning! YOu look so divine amid the snow white backdrop – Wishing you all the best in 2016! You look stunning. Love this classic outfit. Glad you had a great Christmas. Thank you! And haha, it was COLD. Very cold. I’m surprised my boyfriend captured as many photos as he did because I felt like we were only outside for a few minutes lol! 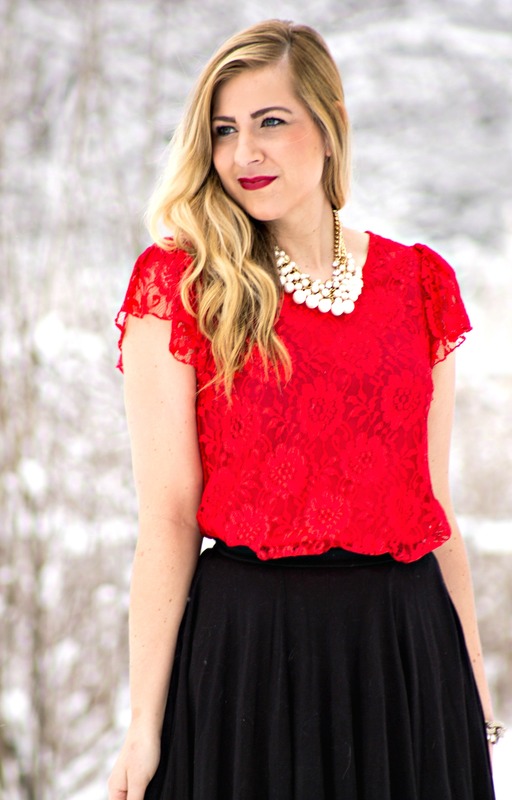 Red and black is such a great combination. I host a fashion link up every week which has just gone live and it would be great if you could stop by and add a link to this post. I think my readers would love your style!